The rep in one of ABC Widget Manufacturing Company’s most important territories retired abruptly. So, ABC Vice President of Sales Sue Smith had a problem. And an opportunity. Sue used MANA’s RepFinder® database to find candidates to take over the territory. Several looked like they would be at least as capable as the rep Sue needed to replace. And one of the reps looked like a head-and-shoulders stand‑out. Fred Jones’ rep firm was a head-and-shoulders stand-out over any other candidate, but all the other manufacturers on Fred’s line card were heavy hitters in Fred’s industry. ABC Widget Manufacturing was more of an up-and-comer. So, to hire Fred, Sue had to figure out how to punch above her weight class and sell Fred on representing ABC. “Our top management is very responsive to our rep council’s recommendations. I can share with you a list of changes and improvements ABC has made that came out of rep council meetings. “We treat our reps like part of the team and members of the family. I have a list of reps in other territories who would be happy to speak with you about us. We communicate quickly and accurately with our reps for information and quote requests as well as any problems that may come up. We ship on time and our quality is excellent, so once you make a sale, you don’t have to think about taking calls from customers with complaints about deliveries or quality. We do not have any house accounts. Why is this important? We all know the definition of insanity, where we keep doing the same things over and over again and expect the results to change. To change the results, we need to act differently. We can change in a couple of ways. Go with our gut instinct and hope it turns out okay. The alternative? Get guidance from an experienced person, someone who knows and understands the issue, and use this knowledge and experience to significantly improve results. A desire to make a move from working in a molecular biology laboratory to a career in sales coupled with a fortuitous recommendation from a friend was what propelled Keynae Agnew into a career as an independent manufacturers’ representative. Relationships between manufacturers’ representatives and their suppliers are rarely static. Those relationships proceed through a life cycle. They are born, often during a period of euphoria. They grow and develop. A prudent rep is always keenly aware of what stage its relationship is in with each of its suppliers. Implementing proven techniques can help reps grow and optimize relationships with suppliers, reverse decline, and convert the relationship to one of growing sales and profits. Those techniques, although simple, demand attention and energy. Routine implementation of the techniques helps to improve the success and health of a rep.
We know there are many character traits that determine long-term sales success or failure. That said, I find there are two key traits that really separate the cream of the crop from everyone else. Almost every professional B2B salesperson comes to grips with one of the challenges of penetrating key accounts. Key accounts are different than the ordinary, and require some more sophisticated skills and strategies. Here are a few fundamentals for effectively penetrating key accounts. 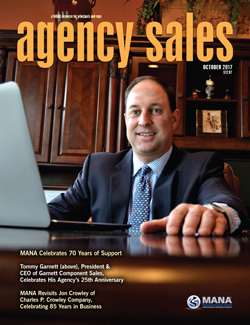 This is the seventh in a number of articles serializing The Sales Force — Working With Reps by Charles Cohon, MANA’s president and CEO. The entire book may be found in the member area of MANA’s website. Manufacturers — a Little Knowledge Goes a Long Way! What you don’t know can hurt you. This is especially true when it comes to selling through independent manufacturers’ representatives. Building personal relationships with the reps is much more valuable than you might think. It is obvious that it is good to be friendly and to get along with your reps, but there is much more to a personal relationship with a rep. In some cases it is the owner of the rep firm; in others it is the field salespeople. Or it might be the inside coordinators and customer service people, or even the bookkeeper. There’s nothing more amazing than the endless incidents of mind-bending foul-ups by otherwise successful companies. Every employee has stories, ranging from miscalculations and costly errors of judgment to downright avoidable mistakes. It doesn’t seem to be getting any better. Years ago, “silos” were a serious issue causing poor communication, confusion, misunderstanding, and counter-productive internal competition. Why wouldn’t you love your customer? They’re keeping you in business. It’s up to you to set the stage for some powerful long‑term successful relationships by simply…showing some love. As in any relationship, the need for conversation, frequent contact, and the personal touch, is the number-one need to forming a successful, long-term relationship. Love is visible. It is what happens when you care. I was working on a sales representation agreement for a client of mine recently involving his representation of an automotive supplier. An issue arose which I thought may be helpful for MANA sales representatives. 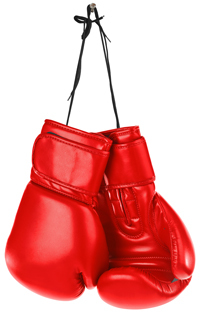 I will first address some of my general thoughts regarding non-compete agreements for sales reps. I will then address the problem that arose that may be enlightening for MANA members. MANA’s Board of Directors is pleased to announce that Tommy Garnett has been elected to MANA’s Board of Directors. Garnett is president and CEO of MANA member Garnett Component Sales, Inc. (GCS), Wake Forest, North Carolina. He will fill the seat that will become open when Danny Collis, president of Collis Group, Inc., Richmond Hill, Ontario, Canada, completes his second term of Board service on April 30, 2019. MANA’s Board of Directors is grateful to Collis for his insights and dedication during his terms on the Board. The Electronics Representatives Association (ERA) White Pin Group has announced that Ellen Coan, CPMR, of the Indianapolis-based CC Electro Sales, Inc. is the 2018 recipient of the Jess Spoonts — ERA White Pin Scholarship Award. Coan will receive a $1,000 grant that can be used to fund her continuing education as a professional field sales representative. She was nominated for the honor by White Pin member Matt Cohen, CPMR, of CC Electro Sales, Inc.